Wall mural American cinema collage. 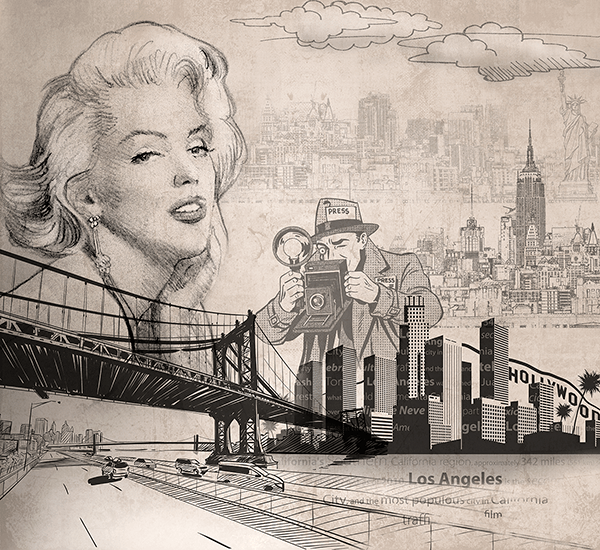 Collage of several icons of the cinema of American cities, highlighting the image of Marilyn Monroe. There's a reporter, the Manhattan Bridge or Hollywood lyrics in Los Angeles. 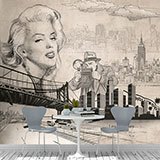 The collage seems to be drawn in pencil, giving it a different and original touch.